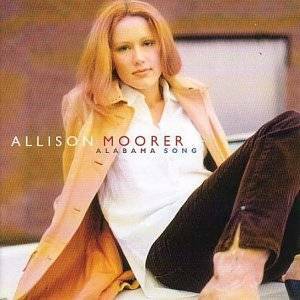 Allison Moorer’s first release since the end of her marriage to Steve Earle is filled with personal songs inspired by her life. She has long since left country music behind, and this is effectively genreless singer-songwriter fare. A haunting steel guitar adds to the melancholic mood, although the song’s structure is not conventionally country. ‘Gonna Get It Wrong’ is another excellent song, stripped down both musically and emotionally, about surviving failure. ‘Blood’, inspired by Allison’s relationship with sister Shelby, offers a more positive view of love, and is pretty good. ‘Wish I’ isn’t bad, although the instrumental backing is a little overwhelming. Allison’s cover of John Fogerty’s ‘Have You Ever Seen The Rain?’ is nicely sung but doesn’t really add anything to the song. Of the tracks I really didn’t care for, ‘Like It Used To Be’ is angry, flat and lacking in melody. ‘I Lost My Crystal Ball’ has more life but is not for me. ‘Thunderstorm/Hurricane’ is more subdued in parts, but Allison’s voice sounds strained in others and I really disliked the rock backings. However, it was not the worst track for me – that was the very repetitive and pop sounding ‘Back Of My Mind’, which sounds like something Taylor Swift would do. ‘Mama Let the Wolf In’ was inspired by her autistic five year old son and is too loud and repetitive for my taste, but it has a certain power. ‘Tear Me Apart’ has a hypnotic rhythm which grabs the attention, although again it’s not the kind of thing I would choose to listen to. ‘I’m Doing Fine’ is just rather dull. It’s hard to judge an album like this fairly, because while it is a strong artistic statement it doesn’t pretend to be a country record (notwithstanding the occasional use of steel guitar). Just because I don’t like a lot of it doesn’t make it bad per se – but I can’t honestly recommend something I don’t much like beyond a few tracks. 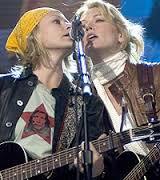 One could easily be forgiven for confusing Allison Moorer for Shelby Lynne because their voices are remarkably similar. However, Moorer’s early music is a lot more rootsy than her older sister’s work at the same stage in her career. And while Lynne has mostly avoided discussing the violent murder-suicide that claimed the lives of their parents, Moorer tackled the issue head-on with her sophomore album. Released in 2000 by MCA, The Hardest Part is an album of all original material written by Moorer and her then-husband Doyle Lee Primm, who co–produced the project with Kenny Greenberg. According to Moorer, it is not a factual recounting of her parents’ tragic story, rather it is a concept album about a disintegrating relationship and was inspired by what she saw her mother endure after she left Moorer’s alcoholic father. Surprisingly, this is not the downer of an album one might be expecting. While the songs are not lighthearted fare, they are, for the most part, typical break-up songs that have long been a staple of country music. Listeners who aren’t familiar with Moorer’s backstory won’t consider the album anything out of the ordinary. Not surprisingly, the album’s more traditional tracks are my favorites, from the title track that opens the album, to “Is It Worth It” and “Feeling That Feeling Again”, which is the best song on the album. The more contemporary tracks, while enjoyable and still containing plenty of fiddle and steel, are a bit heavy on the strings and electric guitar for my liking. The most moving song on the album is the one that directly addresses the night Moorer’s parents died. “Cold, Cold Earth”, a hidden track at the end of the album, is an acoustic murder ballad that is surprisingly sympathetic to her father. At times it comes close to excusing his actions. Attempting to reconcile with his family, Moorer’s father becomes despondent and “drunk with grief and loneliness, he wasn’t thinking straight”, and shoots his ex-wife and then himself when it becomes clear she isn’t interested in reconciling. Even as a work of fiction, it would be a sad story, but it’s absolutely tragic to think that the singer is recounting a personal experience. The Hardest Part produced two radio singles, “Send Down An Angel” and “Think It Over” which charted at #66 and #57, respectively, but despite its lack of hits the album itself reached #26 on the albums chart. It’s a very good album that might have fared better if it had been released a few years earlier. In 2000 when Shania Twain and Faith Hill were having huge crossover hits, it wasn’t what country radio wanted. It is, however, well worth checking out. 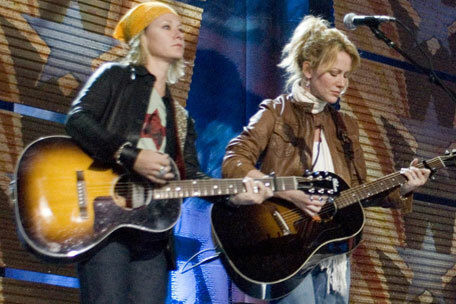 The sisters Shelby Lynne and Allison Moorer have both enjoyed considerable success on the fringes of country music, and this month we will be taking a look at their work. Shelby, born Shelby Lynn Moorer in Quantico, Virinia, in 1968, and younger sister Allison (born in Alabama in 1972), had a troubled upbringing in Alabama. Their father’s abusive behaviour culminated in 1986 in his murder of their mother, followed by suicide, when Shelby was 17 and Allison 14. Shelby was the first to seek out a musical career, moving to Nashville in 1987. Her big voice got her noticed early on, and she was signed to Epic Records in 1987. Her first recording session involved a duet with George Jones, quite an accolade for so young and untested an artist. Success, however, proved elusive, although Shelby was named the ACM’s new Female Vocalist of the Year in 1990/1. Shelby’s musical tastes had always been broad, and by the end of the decade she had had enough of Nashville, and headed to greener pastures in California. Her first pop album, I Am Shelby Lynne, got her noticed where her country material hadn’t, and made her the Grammies’ Top New Artist in 2001. But the critical acclaim brought by her change of direction was still not matched by the big sales she had hoped for. She also tried acting, with a small role in Johnny Cash biopic Walk The Line in 2005. By 2010 she was releasing music on her own label, but her latest album, out this month, is on Rounder. As Shelby’s country career ended, her sister started to follow in her footsteps. Allison signed to MCA in 1996, and gained some early attention when her song ‘A Soft Place To Fall’ was featured in the film The Horse Whisperer and then nominated for an Oscar. Her beautiful voice was a little softer than her sister’s, and at first she seemed to be on the road to success. However, like Shelby’s, her work was to be more popular with critics than with radio programmers or the buying public. Also like Shelby, she moved away from her early country recordings, although she chose a more Americana direction. In a triumph of hope over experience, after her first marriage broke up she became the eighth wife of country-sock maverick Steve Earle, but this marriage has now come to an end. Her latest album was released earlier this year. We will be concentrating on the sisters’ country work in this joint spotlight. It’s somewhat surprising that Trisha Yearwood never had any major crossover success, considering that much of her material seems to have been tailored to appeal to listeners outside the country market. However, in an era when hits by her contemporaries Shania Twain, Faith Hill and Martina McBride were climbing the pop and adult contemporary charts, Yearwood’s success was strictly limited to the country charts. After five successful albums with Garth Fundis, she teamed up with Tony Brown, with whom she shared production duties on ten of the eleven tracks of her sixth release. The result, 1998’s Where Your Road Leads, found her mostly moving further in a mainstream pop direction, with a few play-it-safe nods to country radio. The change in producers was barely noticeable in the first single release, the mid-tempo “There Goes My Baby”. Similar in style to her previous single “Perfect Love”, and virtually indistinguishable from much of Trisha’s work with Garth Fundis, “There Goes My Baby” climbed to #2 in May of 1998. It was followed by the somewhat overblown title track, which despite being hyped as “the” duet with Garth Brooks and produced by Brooks’ producer Allen Reynolds, “Where Your Road Leads” is a Yearwood vehicle, with Brooks solely in a supporting role and never taking the lead vocal. Written by Victoria Shaw and Desmond Child, it had less chart success than the previous Yearwood-Brooks collaboration, the prior year’s #2 hit “In Another Eyes”. Despite the obvious star-power of both both performers, “Where Your Road Leads” peaked at #18. Yearwood returned to the Top 10 with the album’s third single, the fiddle and steel charged and somewhat fluffy “Powerful Thing”, which reached #6. Despite its lightweight lyrics, it is one my favorite tracks on the album. The fourth and final single release, Diane Warren’s “I’ll Still Love You More” appears to be an attempt to recreate the success of the previous year’s “How Do I Live”. However, “I’ll Still Love You More” is a bit too saccharine for my taste, and despite having reached #10 on the charts, it is one of the more forgettable hits in Trisha’s catalog. Like the singles, the album cuts are somewhat hit or miss. The dreamy-sounding “Never Let You Go Again” is rather tedious and my least favorite song on the entire album. “I Don’t Want To Be The One”, written by Carole King and Irish singer-songwriter Paul Brady, is also a bit lackluster. The pop-leaning “Heart Like A Sad Song”, however, is a standout, as is my favorite track among the non-singles, “Bring Me All Your Lovin'”, written by Doyle Primm, Allison Moorer and Kenny Greenberg. Overall, Where Your Road Leads is an uneven effort, dull at times, with occasional flashes of brilliance. It’s worth noting, however, that Trisha’s magnificent vocal performance often overcomes the sometimes mediocre material. Nevertheless, it doesn’t rank among her best work. Where Your Road Leads reached #3 on the Billboard Top Country Albums chart, and was the last Trisha Yearwood album to earn platinum certification. It is available inexpensively from third-party sellers at Amazon.